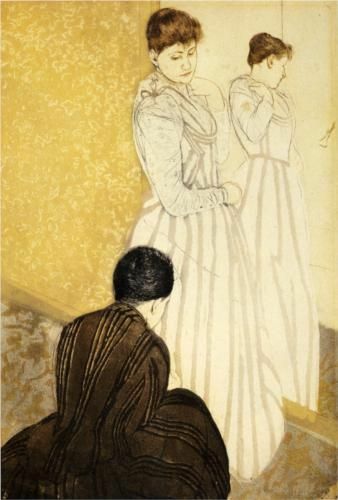 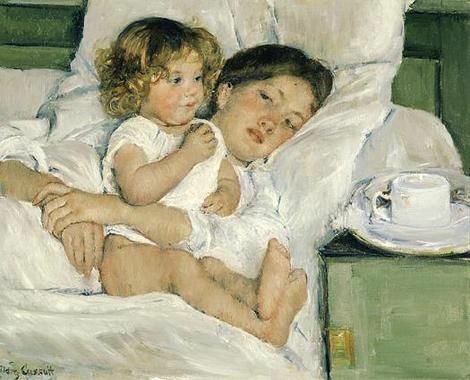 Mary Cassatt (1844-1926) was an American artist who worked and lived in France. 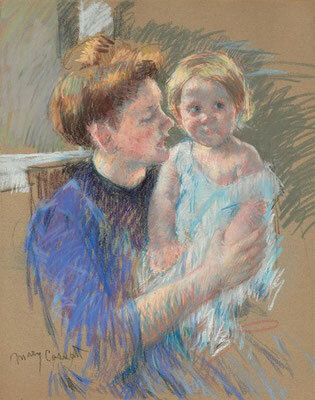 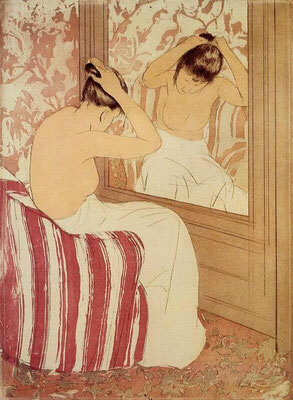 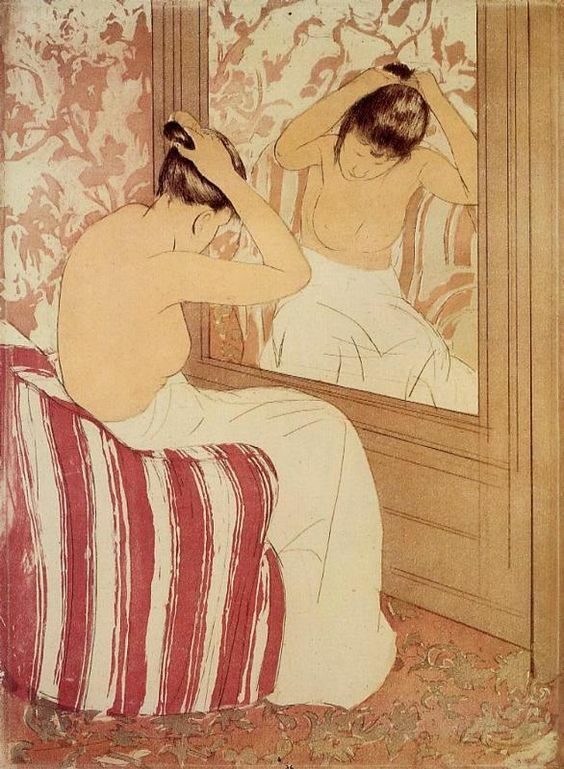 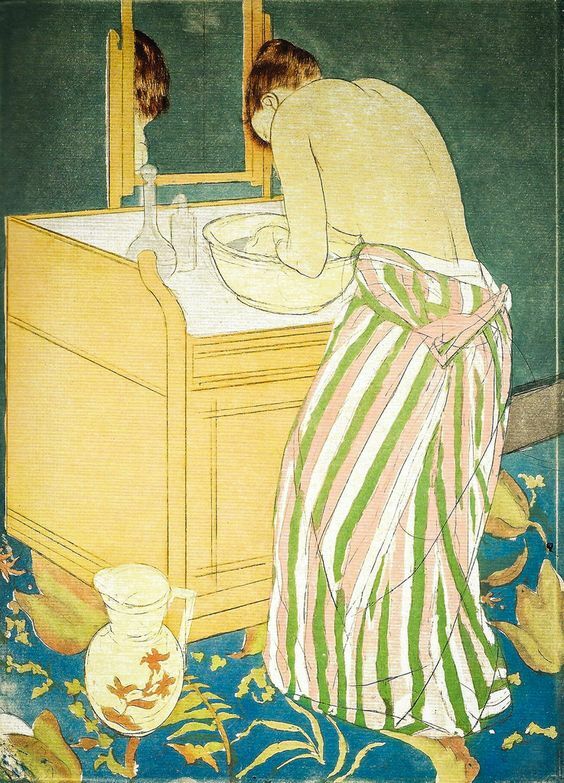 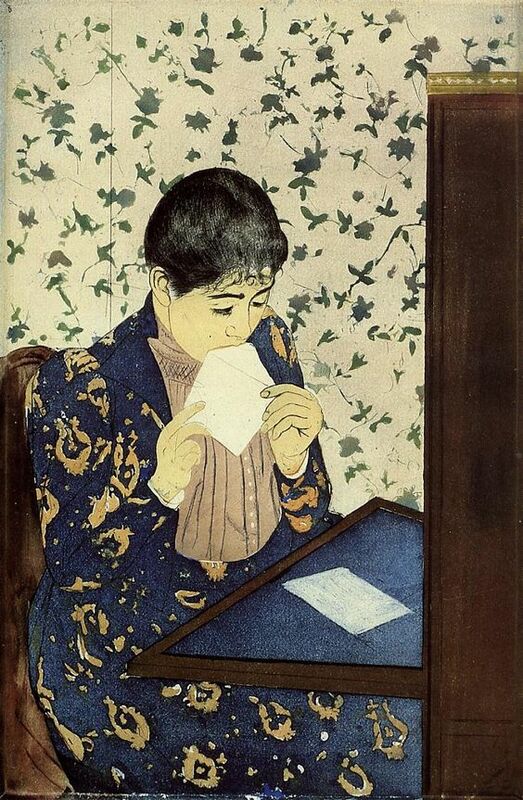 Cassatt came from a well-off family, and studied painting in Paris, against her father's will at first. Women could not go to art school in those days, so she took private lessons. 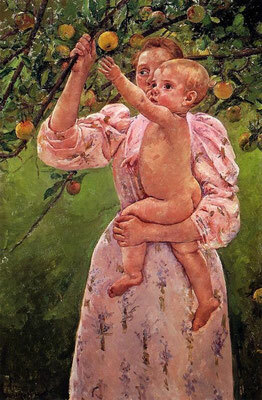 She became part of the group of impressionist painters before long. I personally love her etchings especially (top row), they have something of the Japanese print about them. 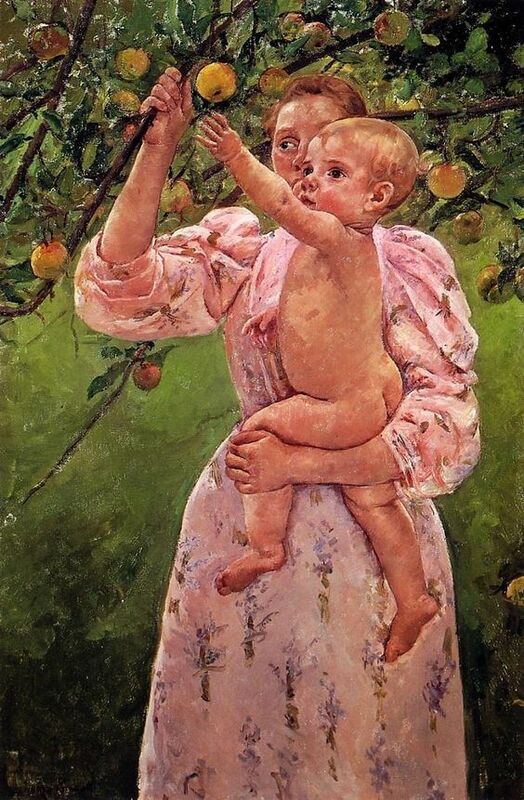 I don't really know if she chose her subject matter: women and children out of interest or if she was bound by her own womanhood.